Pearl Jozefzoon (21 september 1985) suddenly became famous in 2011 when she participated with the successful program The Voice of Holland. Together with Ben Saunders Pearl stood in the exciting finals and finished in the second place. Through her participation in TVOH her life turned upside at once. Her musical career was launched and the requests for performances are way too much. 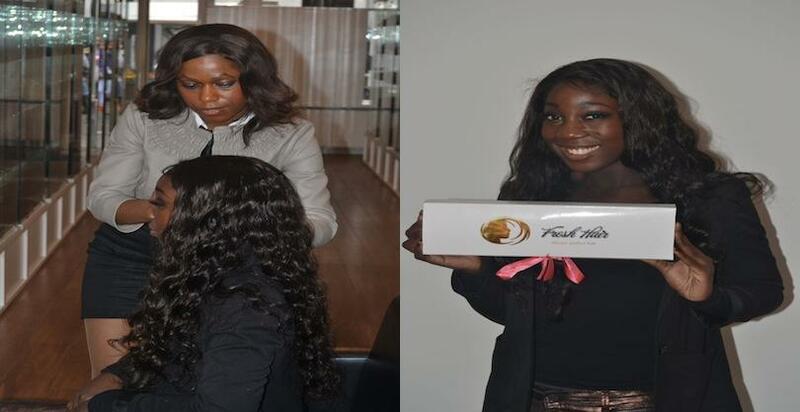 For some new projects which extensively will be shown on the televison Famous Dutchie Pearl Jozefzoon's visited the store of Fresh Hair for a new hairstyle. The result is definitely nice she and she also was very pleased with her new hairstyle. A few years ago when we had no physical store and only operated through our webshop she once placed an order. Her satisfaction and the fact that we now have a physical store have brought her back to us. We are convinced to welcome her more frequently in our shop and hopefully also more other Dutch celebrities. The hair looks stunning on you Pearl! Have fun and we wish you good luck for your future projects.